It has been a long time coming because who knows what I have been up to? 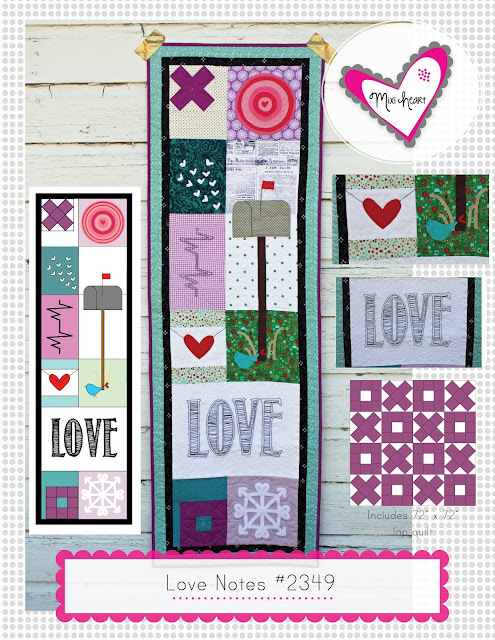 Here's a new pattern Love Notes (available in pattern shop). It has been quite a long time since I have finished a pattern. I did do some quick tutorials but nothing major. And it is all coming together now as to why... we moved, quilt market, summer with the kids, and now the kids are back in school!! Oh that is right, lol. The spring and summer flew by and for me it is difficult to be creative with all the cute distractions at home with me especially during the summer. Now that they are in school I was thinking at first it was a bit lonely but with some sewing days thrown in there during the day it is kinda nice. First thing on my list was to tackle a few patterns I've had in the works. This Love Notes pattern represents February and Valentines. 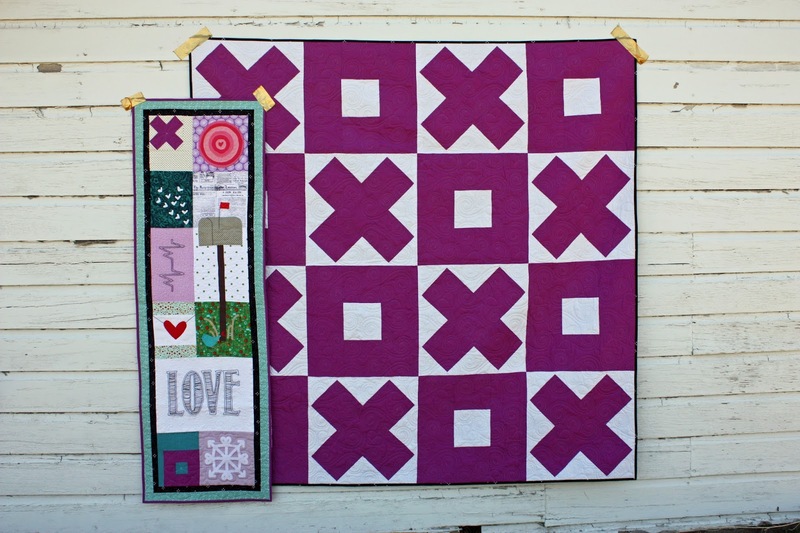 I am going to start out with Love Note's lap quilt because I just love it!! I used Hoffman hand-dyed solids and they are just a dreamy with all the bright saturated colors. 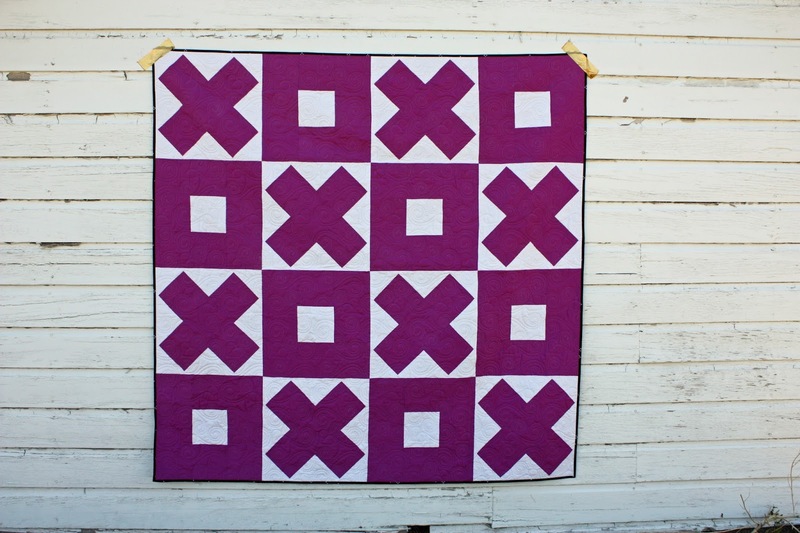 This was beyond perfect for the XOXO quilt. I sat the X's inside so they pop against the O's. It is so fun to sew this baby up! So fun! I quilted this with Hearts and Swirls to match the Love theme. Darling. Just darling. One thing that I don't do very often is that I mixed the top and bottom threads. 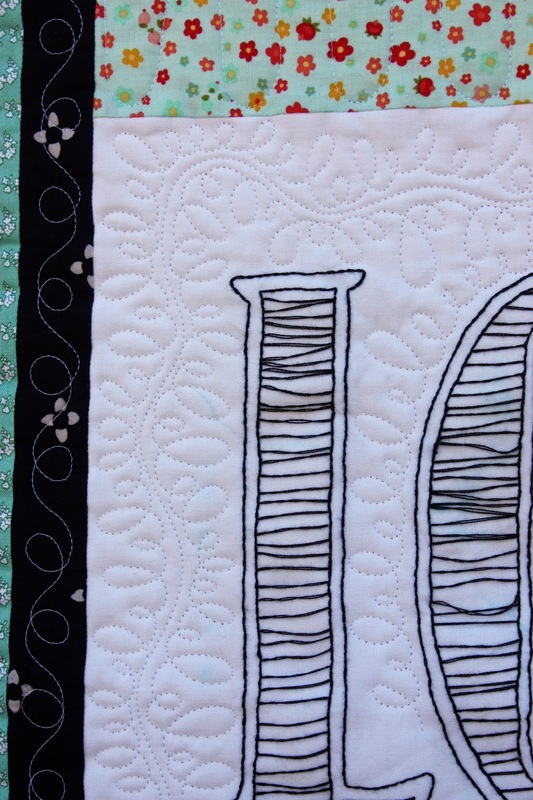 I used white on the top to blend in with the quilt and then I used black in the bobbin. I had just a tiny bit peak through and I was very satisfied with the final result. It isn't my favorite thing to do but I loved the backing so much and it was black with gold. I just felt that the white wouldn't work on the back? 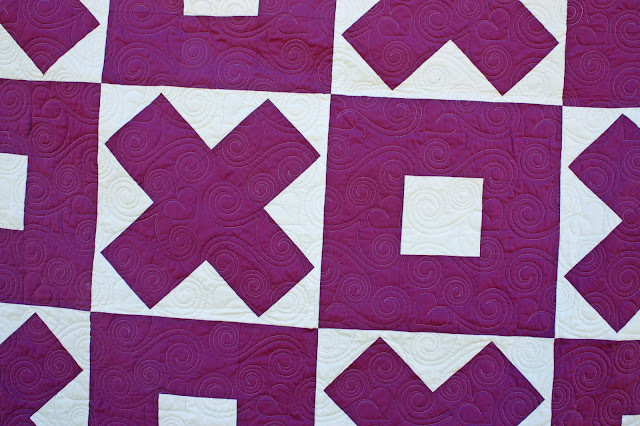 I love how the thread combinations worked with the backing. It was worth it. Another thing that is interesting about this pattern is that I made it twice. 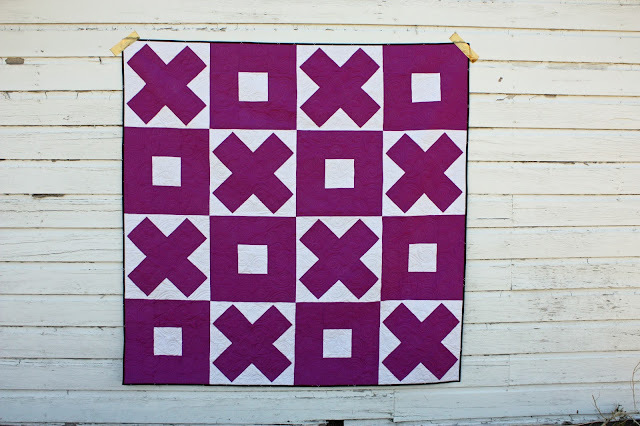 I was asked by Quilt It to film a few segments with them about quilting a Quilt Sampler. 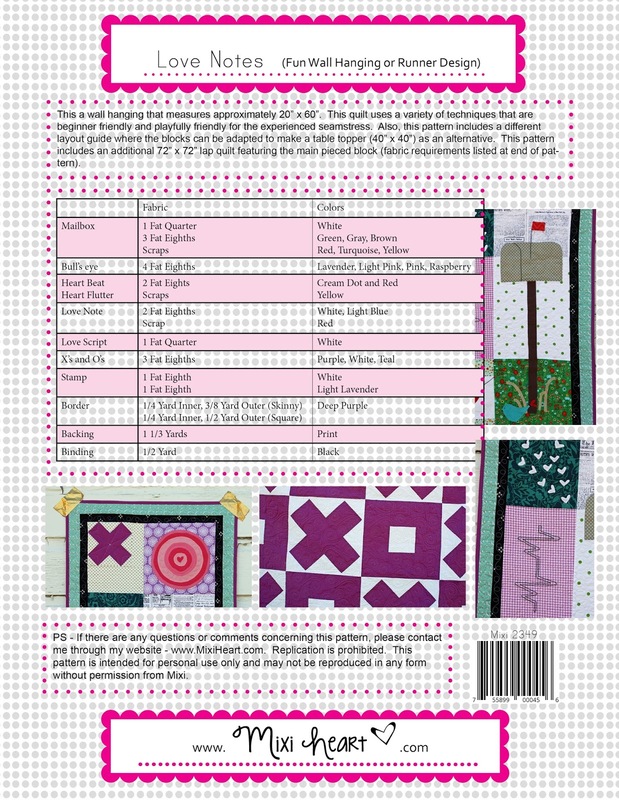 It is funny because I have thought through why I like to design samplers a lot before and it is nice to explain from a quilting point of view as well. I will link the quilting segment here as soon as it is up on the site. It should be sometime this month (September 2015). 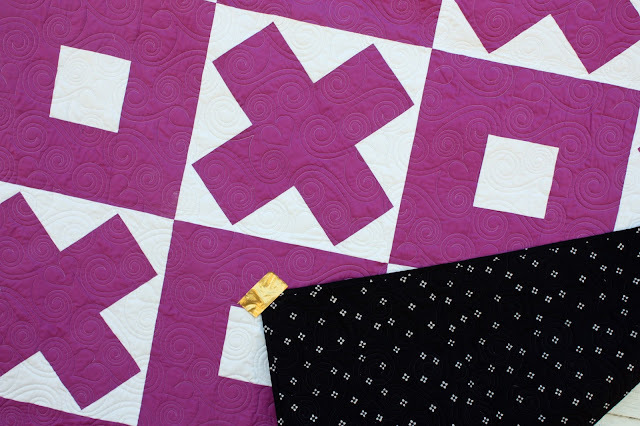 So I decided to make the quilt twice in two different styles (screen-printed fabric and contemporary batiks). 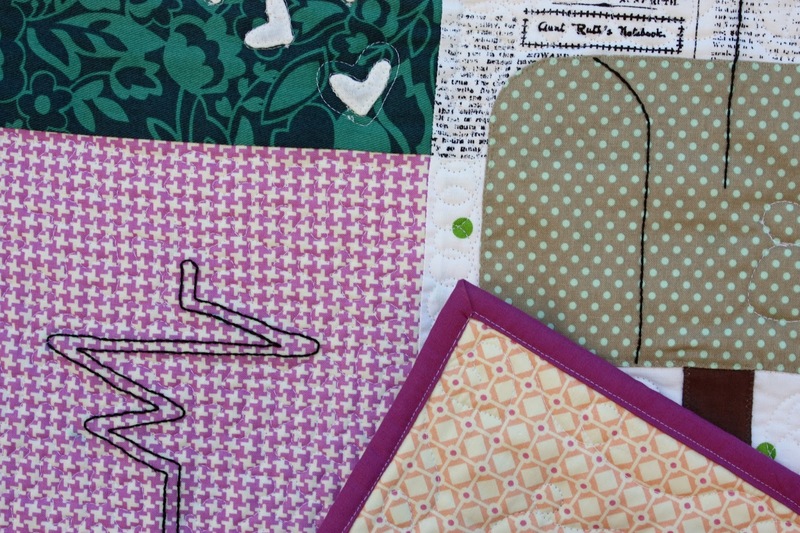 It was a little overwhelming to pick fabrics for each block twice. But once I got the hang of it the quilts just came together quick. 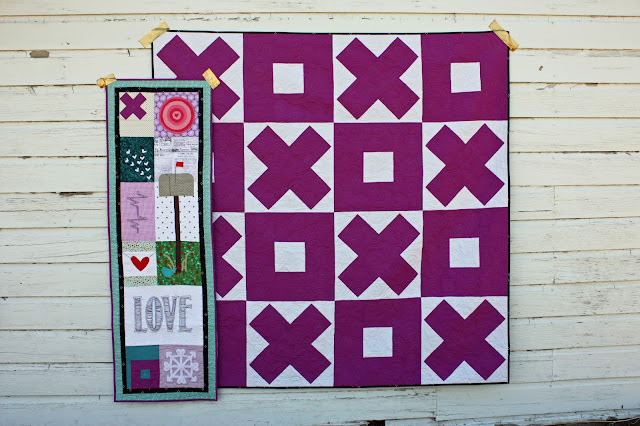 This cute quilt got it's name from the mailbox that is sending love. These blocks in the quilt were pretty fun to design out. 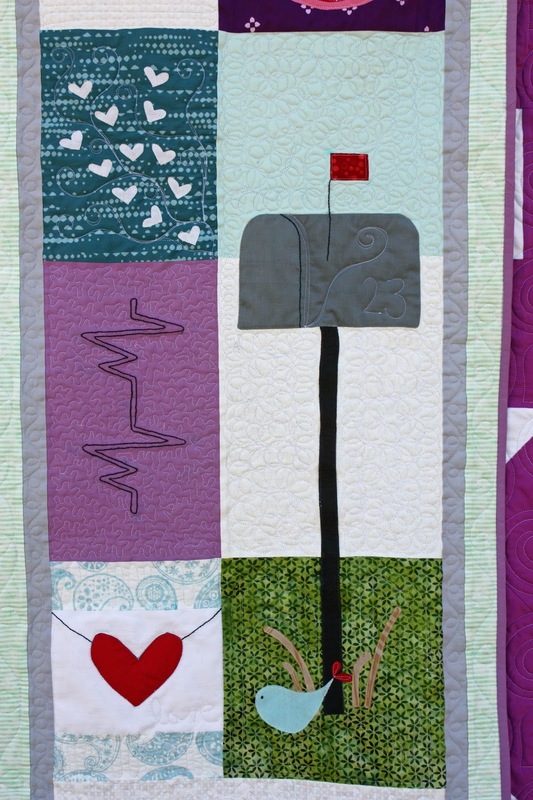 In the picture below it shows the heart flutters block. and the mailbox quilting where I used our house number for just a little personal touch. 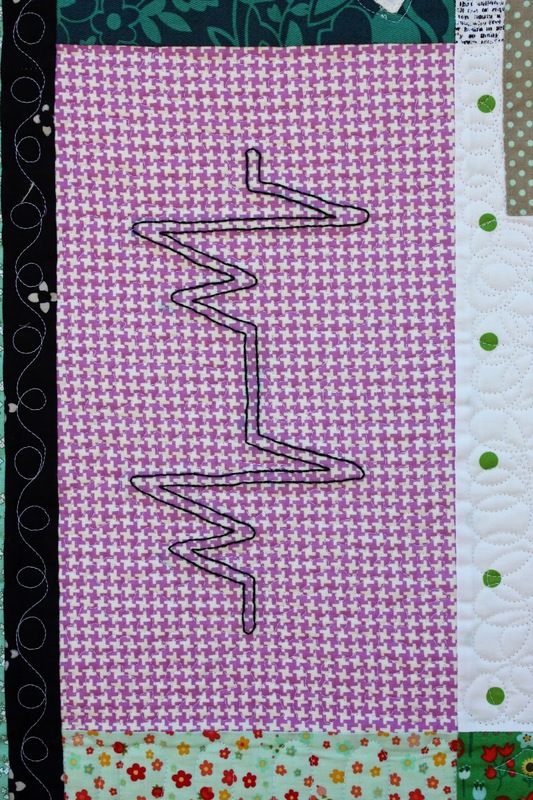 The block just below is a heart beat. Umm.... CUTE! and then of course we have a love note ready to be dropped in the mail and a love bird. Lots of LOVE. The batik version was so pretty. I love the teal batik. It was just the perfect shade for me. And I really love the grass in the batik too. It was so vivid. If you want to check out how I approach the quilting be sure to check out the segments because it was fun to share that on video. Here is a close-up of my cowboy feather quilting technique. Also, you can see the string art embroidery up close too. I have to share kind of a funny part of filming. 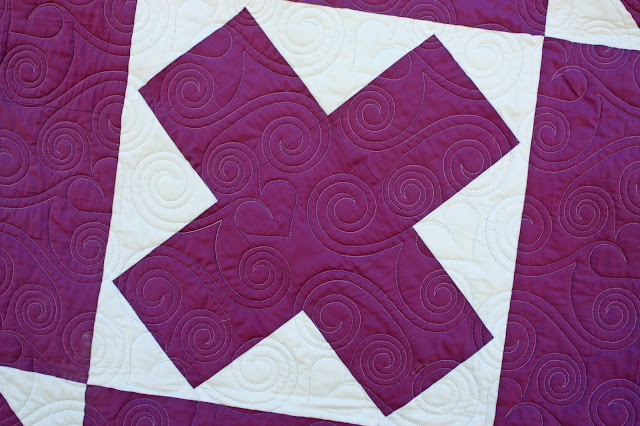 The host isn't a quilter/piecer. 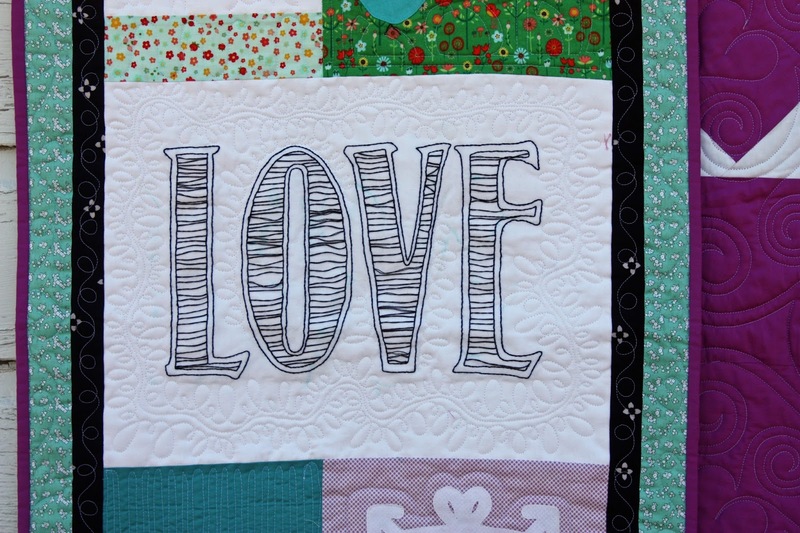 So when she was pulling the machine over to quilt it caught on the LOVE embroidery and I almost died when it rips the strings because each letter took FOREVER to embroider and I had to do it twice for the two quilts. My heart fluttered. But it recovered. LOL. It actually looks just fine with the few strings missing. So no big deal. 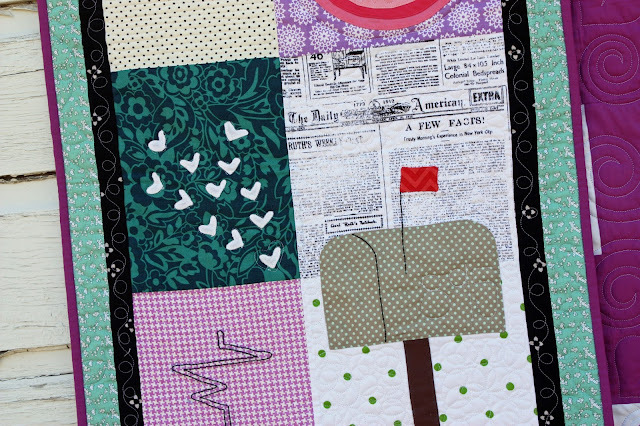 I really love the heart beat fabric on the screen-printed quilt. It is just darling. So here is the Love embroidery on the screen-printed one. This one has imperfections too and it wasn't the one that the strings broke, so even if there aren't missing strings it still isn't perfect! So the batik version looks just fine too. I snuck the black batik fabric in the screen-printed version in the stop border and it was perfect. Pretty much it all turned out perfect enough for me. 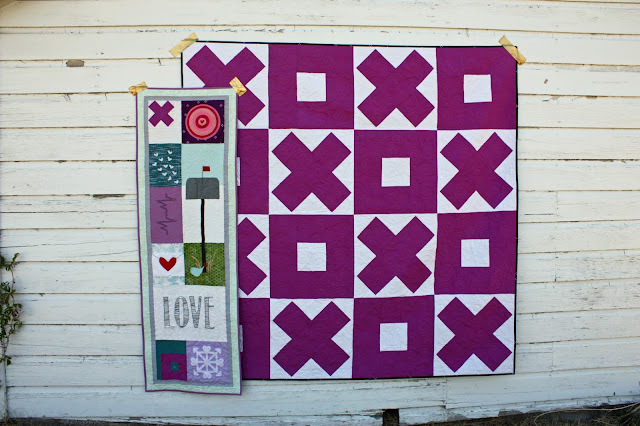 I love these two quilts. So here I am sending Love your way and my heart skips a beat. So cute! I love the mailbox! Hey, did you guys move into your mom's house in R.V.? I heard that you were going to? I love the way this turned out! I need to make one! !